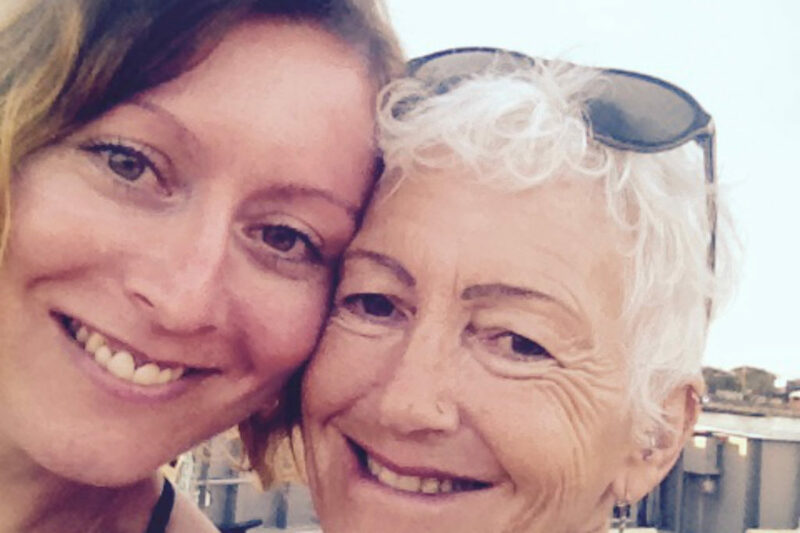 Maya Guthrie (36) from Faversham will take on the Edinburgh Marathon on Sunday 26 May 2019 in memory of her mum, Dr Gillian Corble. 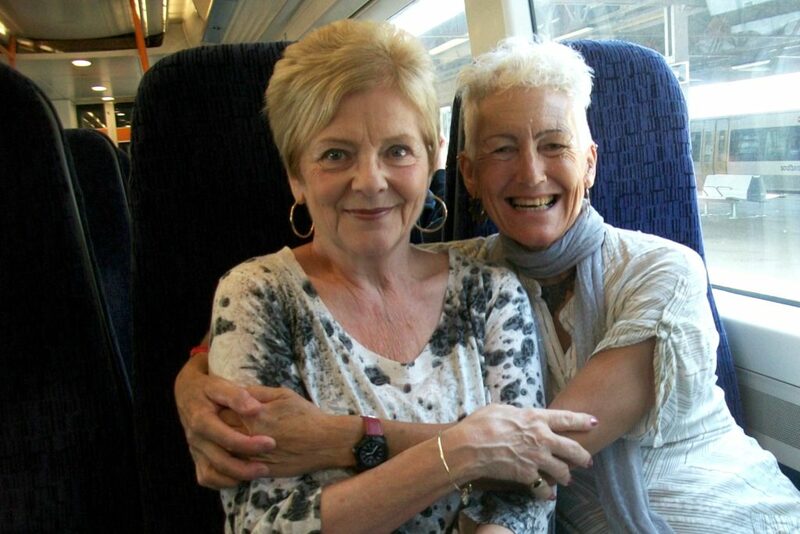 Maya is running to raise vital funds for Pilgrims Hospices, the charity that cared for Gillian at the end of her life. Gillian worked as a GP in Faversham and an oncology clinician at Kent and Canterbury Hospital (KCH). She lived in India, Nepal and the Solomon Islands with Maya’s father, Frank, until they settled in Beltinge near Herne Bay. Following in her mum’s medical footsteps, Maya now works as an MRI Radiographer at KCH. 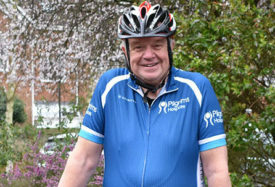 Although Gillian and Maya took part in several fundraising events for Pilgrims, including Divas on Wheels, the family had no personal experience with the charity until Gillian was referred to the Canterbury hospice in 2017. 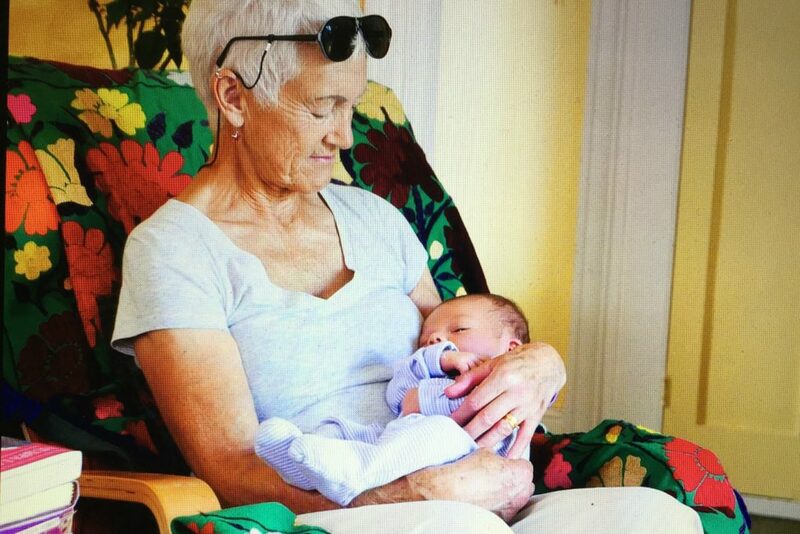 The amazing care my mother received, that then positively impacted on us left behind, is something I wish everyone in that situation could experience if they so choose. Maya said: “My mother’s transfer there was seamless; her care was second to none. Nothing was any trouble for the polite staff at the hospice. The surroundings were so comforting for us to spend time in, and I so admired the respect the staff gave to my parents while she was there. My son Oscar was just three months old at the time, and as awful as the circumstances were, it was so much easier to be able to be with my mum whilst breastfeeding and changing nappies in the comfortable environment of the hospice. You can sponsor Maya by visiting her JustGiving page. 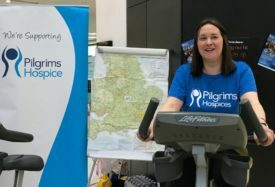 If you’d like to challenge yourself for Pilgrims, check out our events calendar to see how you can get involved or contact our fundraising team for more information. If you or someone you know is coping with a life limiting illness and you think you may benefit from Pilgrims support, talk to your GP or Healthcare Professional about the options or visit click here for information on the Wellbeing and Social Programme.